The Big Count is designed as a simple tool for counting objects for little children or early Primary school age. 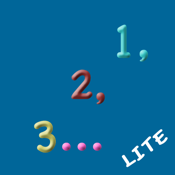 Children are able to count items as they see them (ideal for data collection). Only designed for counting ONE thing (eg trees, cars, vehicles etc.). Teachers can use this app to allow a number of children to have just one thing to count and return with the data. Also very handy if you just want to count things!